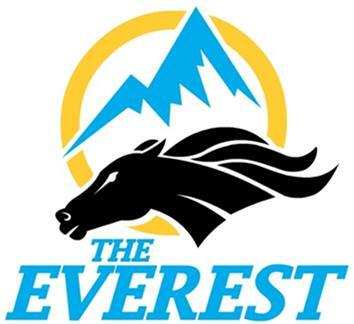 New 'The Everest' horse race will dwarf the Melbourne Cup's prizemoney. Any excuse to put in a picture of Black Caviar. 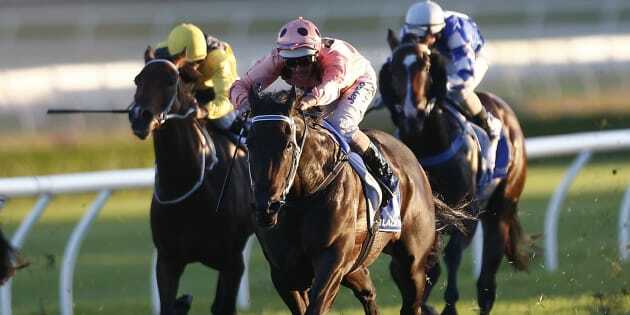 This was her last career run and win, at Randwick in 2013. The Everest. Yes, The Everest. This is the strange new name for a new $10 million horse race to take place in Sydney each spring which will tower high above the Melbourne Cup's $6.5 million prize pool. Racing NSW on Wednesday announced its new sprint race, which will take place at Royal Randwick Racecourse on October 14, 2017. The winner of @racing_nsw's new $10million feature "The Everest" will reap roughly $85,000 for every second of racing. Insane. Prizemoney, as stated, will be $10 million. This makes The Everest the richest 1200 metre race in the world, and also the richest turf race in the world. The Everest will be unique in Australian racing in that local and international horse owners can purchase a place, at a price of $600,000. In most races worldwide, horses qualify through their performances. In The Everest, they buy their way in. Twelve slots will be sold. The owners of these slots will be able to trade their position or alternatively partner with owners not holding a slot to enter a horse in the final field for the race. The prizemoney pool will be fully-funded from subscribers (12 x $600,000 slots accounts for the first $7.2 million), and additional revenues generated from the event. A horse and a snowy mountain. Sure, that screams Sydney. Whatever. "The Everest will be a game-changer for racing in Sydney and provide a stage for showcasing the best Australian sprinters against leading international contenders," Racing NSW Chairman Russell Balding said. While the new race won't in any way diminish the appeal of Melbourne's Spring Carnival, it can be considered a major shot across the bow of Melbourne racing -- and more generally Melbourne sporting events -- by a NSW government eager to eat into Melbourne's unofficial (but undisputed) title of Australia's sporting capital. Jarryd Hayne quits the Gold Coast Titans in a bid to become a professional jockey. "It's been a lifelong dream to win The Everest," he said. Ironically, the new mega-race may also hurt Sydney racing. The Everest could potentially cannibalise "The Championships" -- Sydney's rebranded autumn carnival which is the premier multi-week showcase of Sydney racing. The problem with The Championships is it has always lacked one stand-out race (a la the Melbourne Cup) which is the focus of the entire carnival. Now Sydney racing has a new focus. It's just that it's six months away from all the other big races the marketing types have been hyping up.